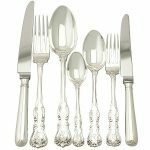 Here at AC Silver we pride ourselves on having a fine collection of antique silver flatware available to our customers. We get enthused about each and every piece we have in our inventory as they are often steeped in history. Here’s some food for thought, have you ever thought about how lucky you are to own your own spoon? What is a Trefid (or Trifid) Spoon? 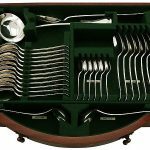 Back in the 16th century you would generally have one spoon which you would use at all mealtimes and wash in-between uses, unlike the current day where it is normal to have a full set of cutlery in a household. It was also deemed a sign of class if your spoon was made from anything other than wood, let alone if you have one at all. 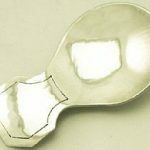 It is suggested that silver spoons came to Britain with the Romans however, the Trefid spoon originated in France; the French call it ‘Pied de Biche’ which translated means Deer’s foot. It is said that Charles II while in court in France noticed they used a specific type of spoon called the Trefid and this was how it was introduced to Britain in 1660. Trefids are termed ‘the French Fashion Spoons’ and the style spread very quickly throughout the United Kingdom; in part due to the British people who took their old spoons to the silversmiths to have it melted and made into the new Trefid style (if indeed you could afford to do this or if you had one at all). Overtime the Trefid spoon has had many variations on its styles, although this spoon originated in France, the influences of later designs were said to be taken from the Romans. This can be seen from the ‘V’ shape of Roman spoons of circa 350, which had a plain rat-tail which led to the birth of the rat-tail pattern. There is also a practical reason for this variation, due to the spoons daily use the rat tail was introduced to make the spoon stronger. It provided support and strength to the junction of the stem and bowl, but it also became an attractive feature of the spoon. In France spoons were laid face down for table service. Even this can be linked to the design of the Trefid; this is said to be why the shape of the middle lobe on the Trefid spoon is turned upward slightly so it can be placed nicely faced down. This is why you will also find crests and initials on the reverse. 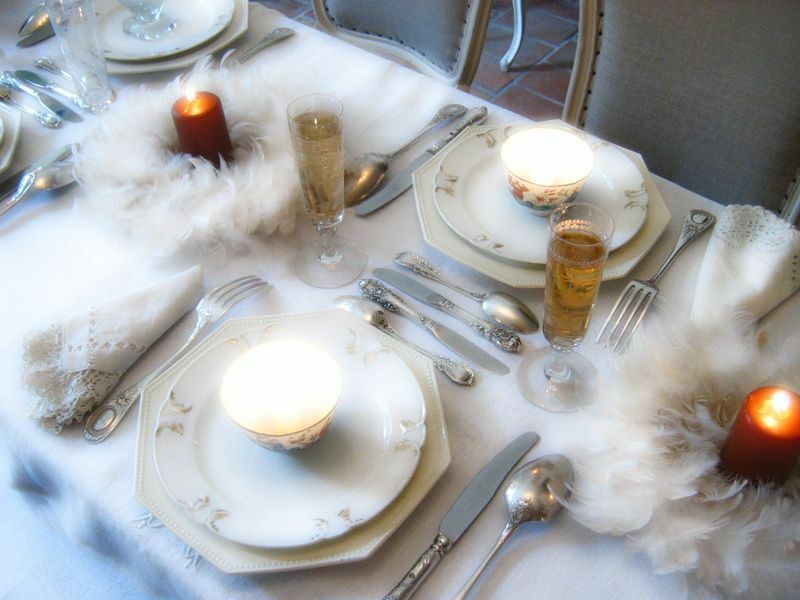 As you can see from the picture French dining was (and still is) an elegant affair. But that’s enough of the history of the Trefid spoon; let’s move onto its beautiful design and how we can identify one. The word Trefid (or Trifid) means divided or split into three parts, which can be seen at the top of the handle and explains why it has this name. The handle is thickest nearer the bowl section of the spoon and becomes thinner as it reaches the upturned Trefid end. The spoon has had many variations; however the flat stem which gradually spreads to the upward turned Trefid end is the part of the spoon which has remained the same throughout its life. Although, the spread of the terminal moved downward towards the bowl at around 1700s and became more elaborate with decoration and some were even gilded. This also meant that the hallmarks had to be moved to a different place on the spoon. The flat stem handle leading to the classic three lobe/deer foot design can be seen on all Trefid spoons and can be deemed a strong characteristic to look out for when identifying one of these fine spoons. You can notice how striking the deep oval bowl on this impressive type of spoon is (pictured above). This part of the spoon has proven to be very important, or to be more specific the reserve of it. The bowl changed over its period of rein and became more elongated and decoration became more elaborate. As already mentioned the Trefid spoon has had many forms, which we will not explore in more detail. When these type of spoons were first introduced in the early 1660’s their form was quite plain with the only decoration you would find being engraved initials or crests (mark of the house or family it came from). 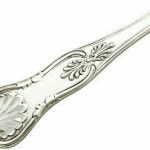 The 1680’s saw the production of the highly sought after lace back Trefid spoons which went from quite simple ornamentation to very complex. The decoration for this type of spoon was countrywide and involved hammering the bowl into a pre-cut die. The West Country was particularly known for producing many designs in this particular spoon. The flame back Trefid spoon was introduced in 1687 which had a flame design to the terminal whereas the rat tail was always reeded. The reeded rat tail followed in the 1690’s and lastly the beaded rat tail in 1699, which is secondary in collectability to that of the lace back and the flame back designs. I can certainly understand how there is a lot of scope for collectors of these types of spoons due to their vast variations in decoration. The spoon saw the takeover of the Puritan spoon and was superseded by the Dog Nose spoon to which a multitude of pattern variations occurred (i.e. Hanoverian, Old English, Fiddle and King’s etc). 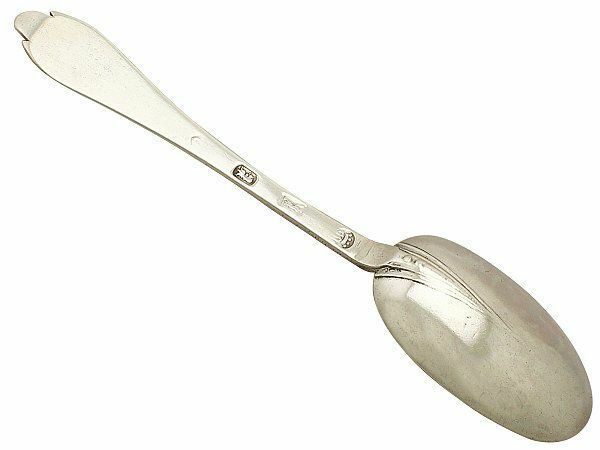 The change in industrialisation and the growth of the middle classes led to the Victorian era creating the table spoon, serving spoon and the simple teaspoon. The Trefid spoon had a forty year popularity and is considered the earliest English flatware pattern. 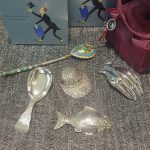 We are very lucky here at AC Silver to have one of these fine and highly collectable trefid spoons (pictured above) in our antique silver dining collection. 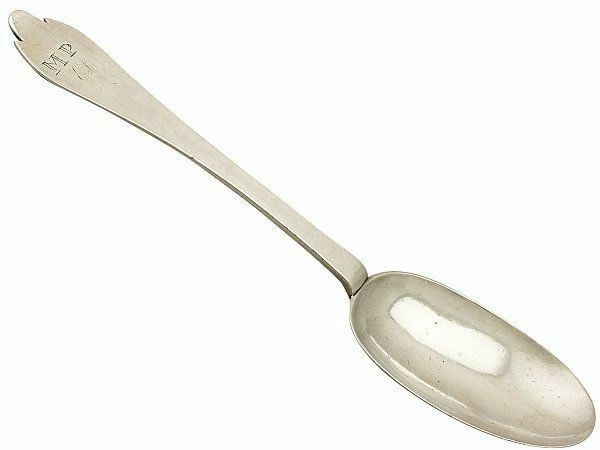 This antique William III Britannia standard silver spoon was made by John Cory Circa 1700 in London, England. As you can see from the pictures the spoon has the lovely wide and deep rounded bowl which features the rat-tail with beaded ornamentation to the heel; in addition to the classic identifiable three-lobe design to the handle terminal. 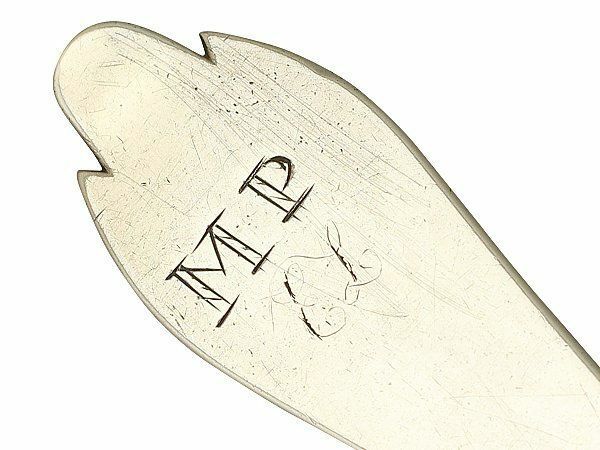 The anterior surface of the handle terminal is embellished with the contemporary engraved initials ‘MP’, in addition to the later engraved initials ‘EL’; the reverse surface is plain apart from the feature hallmarks. This highly desirable spoon really is a fine example of its type and would be an asset to any collection and collector. We are very pleased to have one of these collectable pieces in our inventory, however we anticipate it won’t remain with us for very long. Although there have been many variations of the Trefid spoon the deep bowl element has carried through to what we use today. I do hope you’ve enjoyed learning about the world of the Trefid spoon, until next time history and antique fans! Previous Entry: What is Moss Agate?